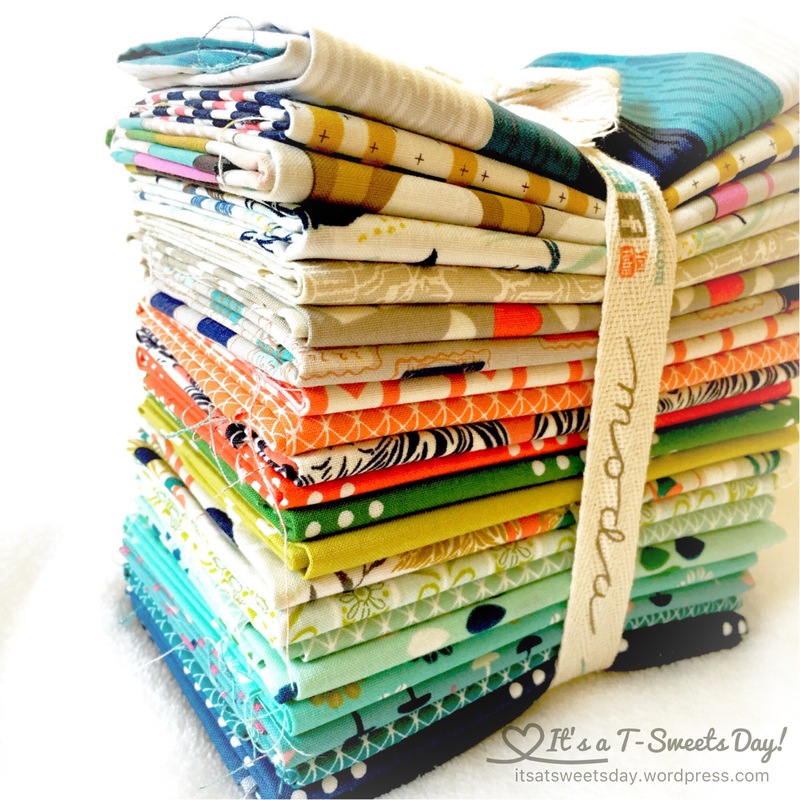 Long Time Gone QAL – It's a T-Sweets day! 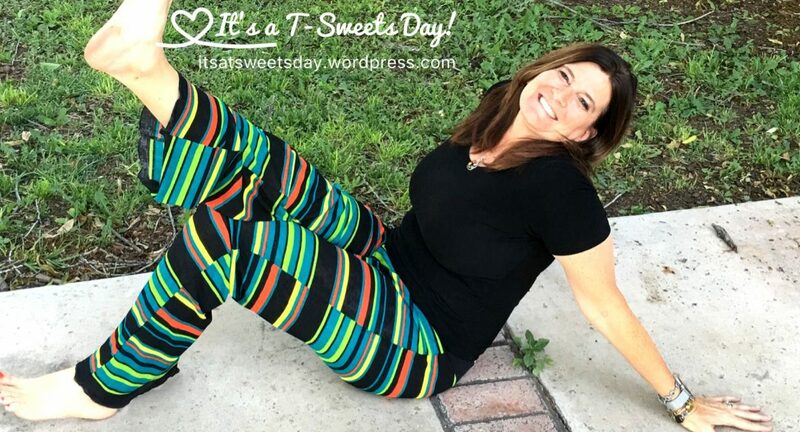 Published on March 24, 2017 March 24, 2017 by Tracy @ It's a T-Sweets Day! 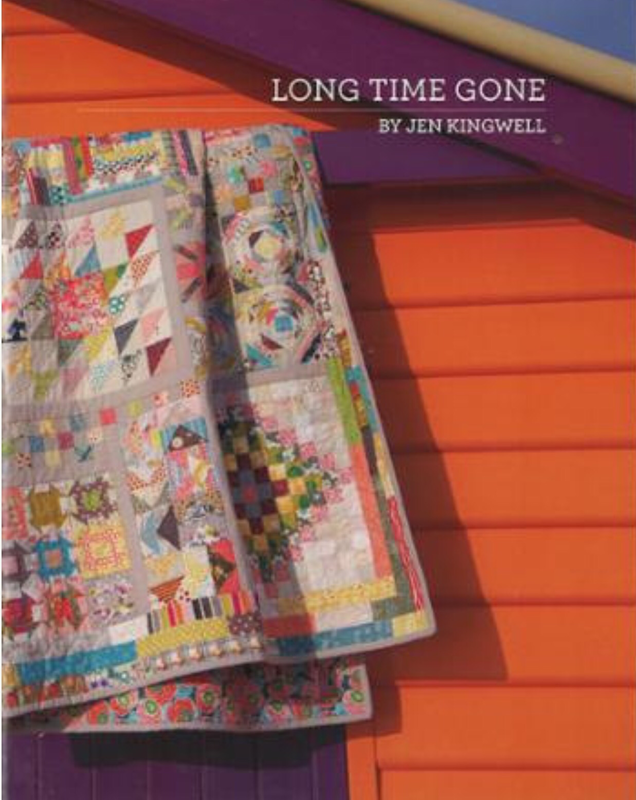 I have been looking at and drooling over Jen Kingwell’s designs and patterns for a while now. Her wild colors and adventurous techniques just tickle my fancy. This is the Delilah Quilt that Jen made. Isn’t it amazing? 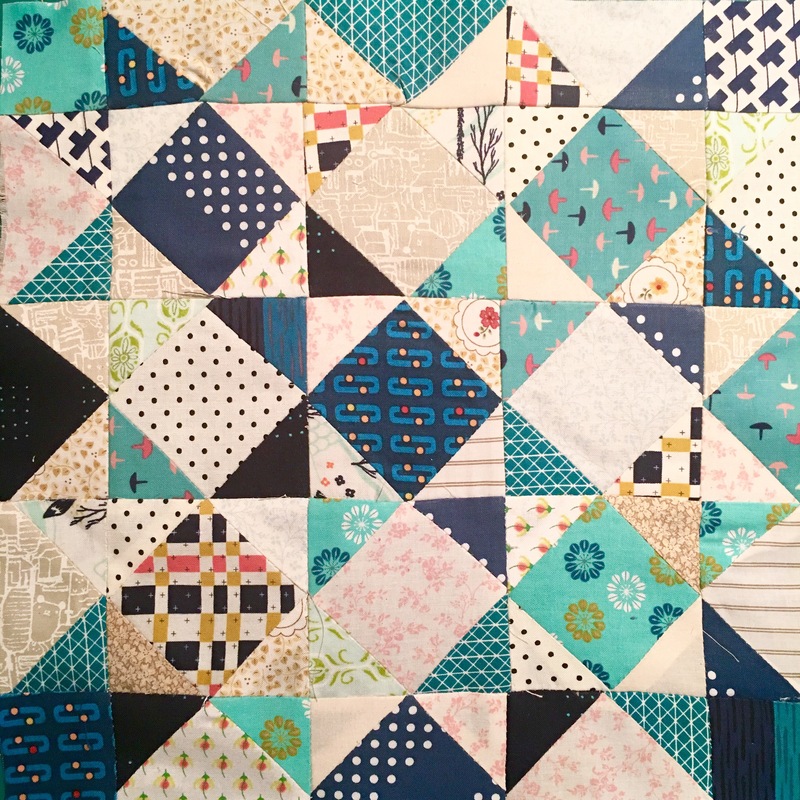 Well, I signed up back in February and am expecting my first installment any day now, but now there is another QAL going on over at Angel Gnome for Jen’s Long Time Gone Quilt. 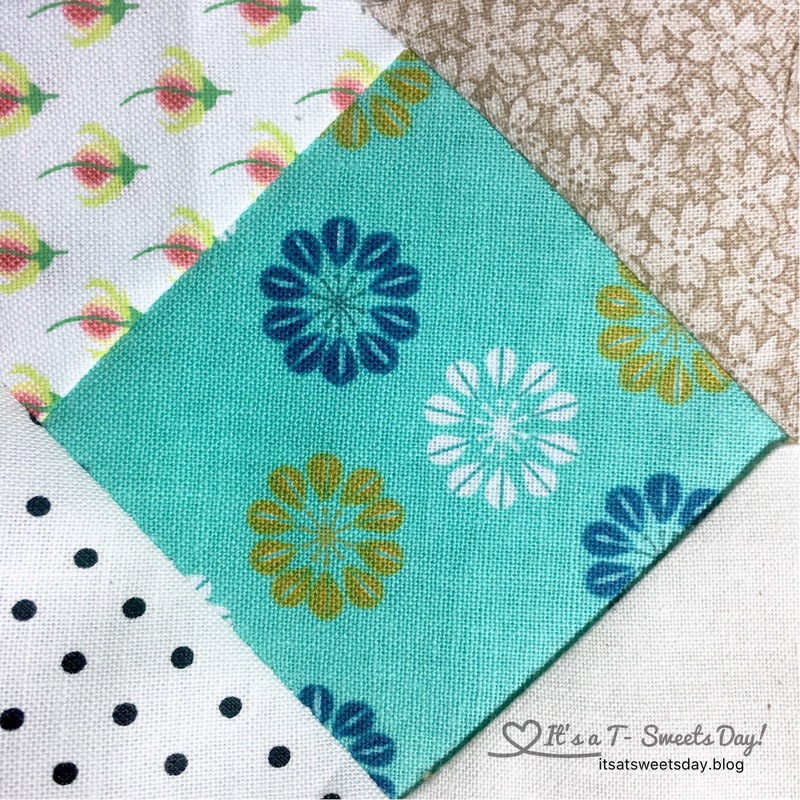 I looked through my fabric and was happy to find this Cotton and Steele fabric that I had bought a while back and folded up. Remember? It is perfect! I have enough scraps lying around that I can add to the mix that this should be plenty. Yea! I gathered my lights and darks and cut them into the specified size squares. Then came the fun stitch and flip. Easy easy! 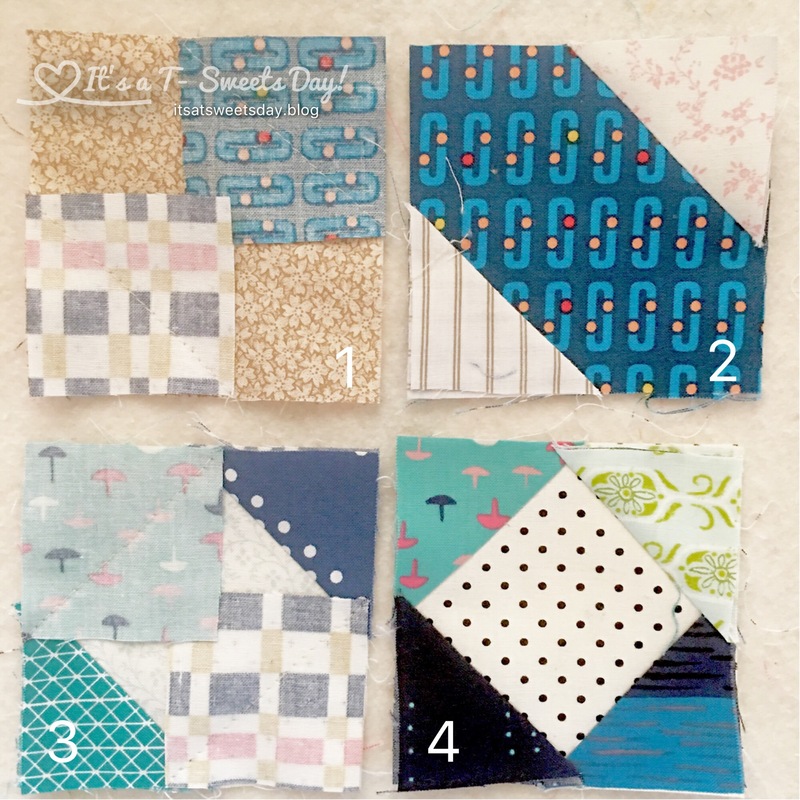 Place a small dark square in the corner of a light square and sew from corner to corner. Tiger tape is so helpful here, no marking the line needed! Cut the chain apart, flip the small square over and press. Woo hoo! 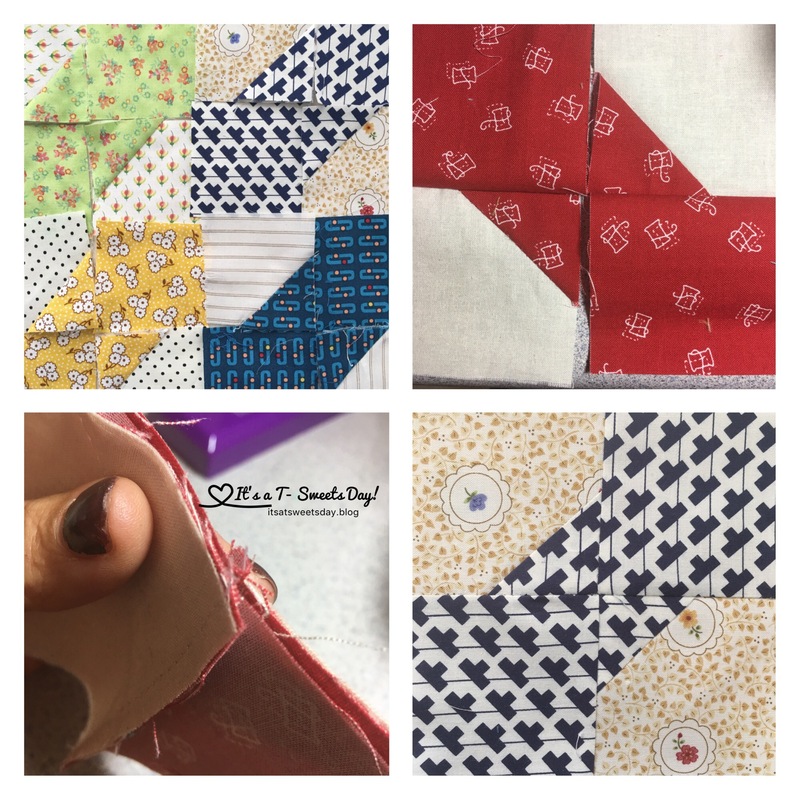 Lay the bow ties out for easy, organized sewing. Be sure those seams kiss or nest together by pressing the seams toward the dark square. 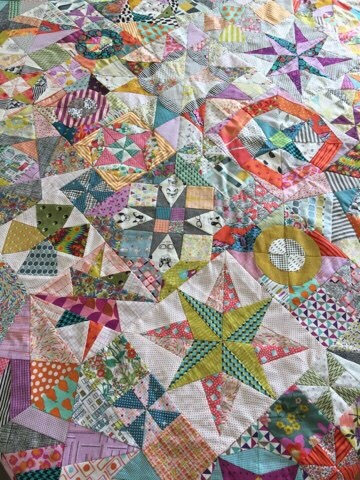 This block was a little harder because of all of the bulk. It is also a stitch and flip block, but there are a lot of seams here, so be sure to trim away the under side of the flip. 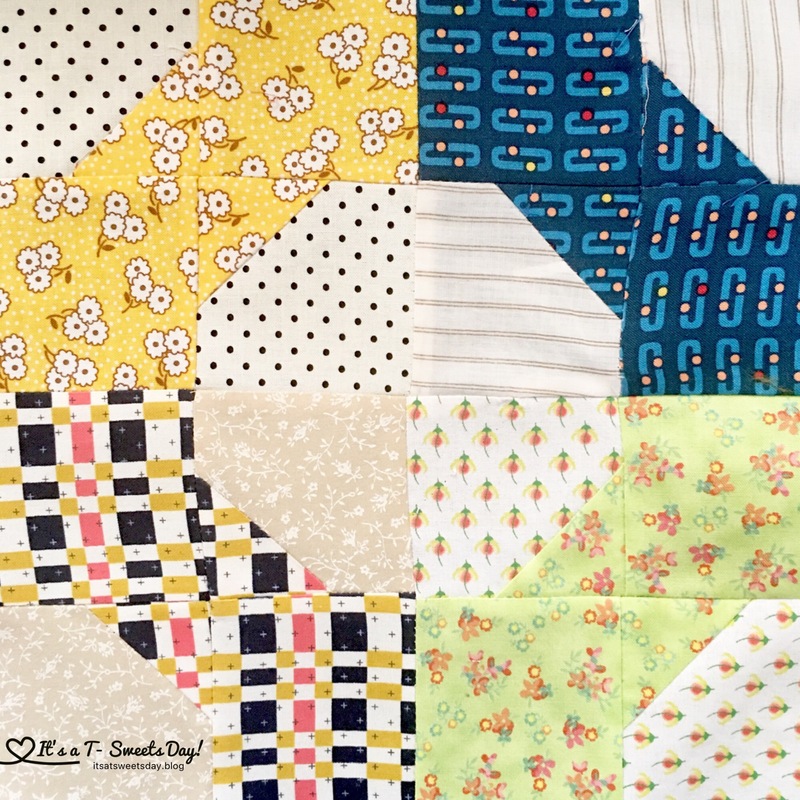 Sew two squares to the opposite corners in the same manner. 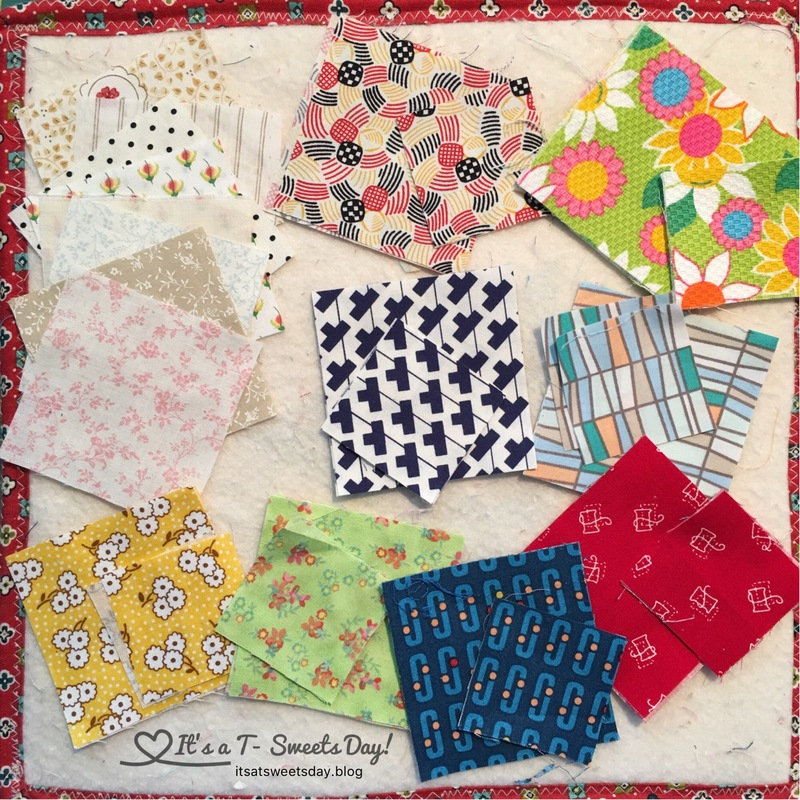 I look forward to making these two quilts. 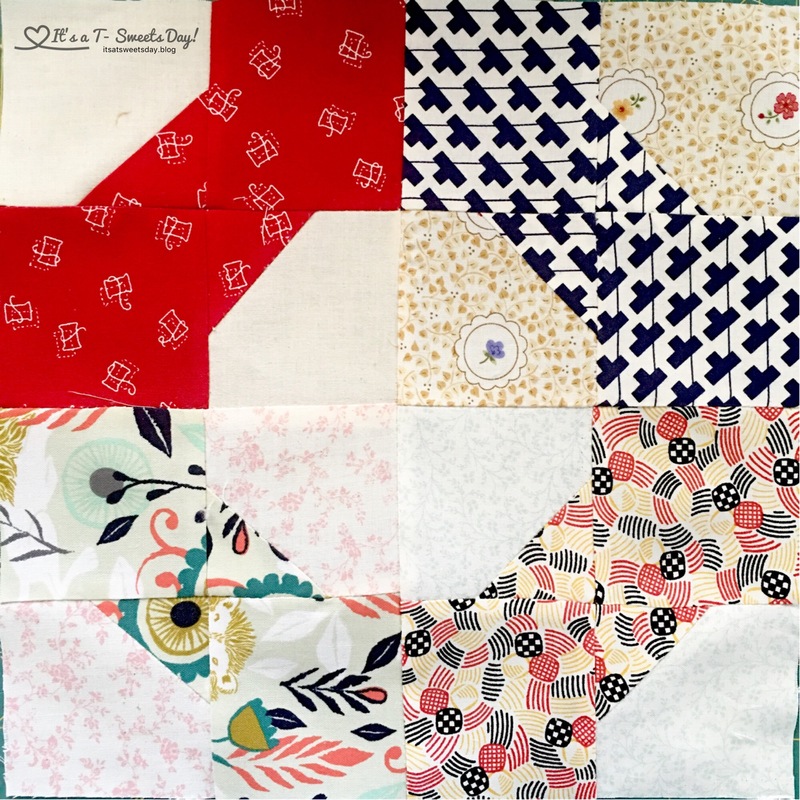 I ask myself if I am crazy because I just have a little way to go on my Splendid Sampler…..”press on!” I say!!! Thank you Lisa! It’s going to be so fun:)! Thank you Tami! Get out that machine:) lol! 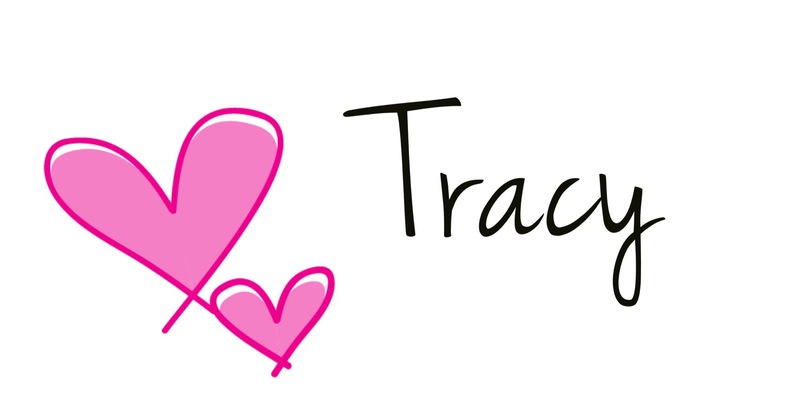 Tracy, your blocks have a real 1930’s retro vibe. Love it!! How lovely. I love it. Quilting regards from Finland! Thank you and hello Sartenada! I love meeting people from around the world:). 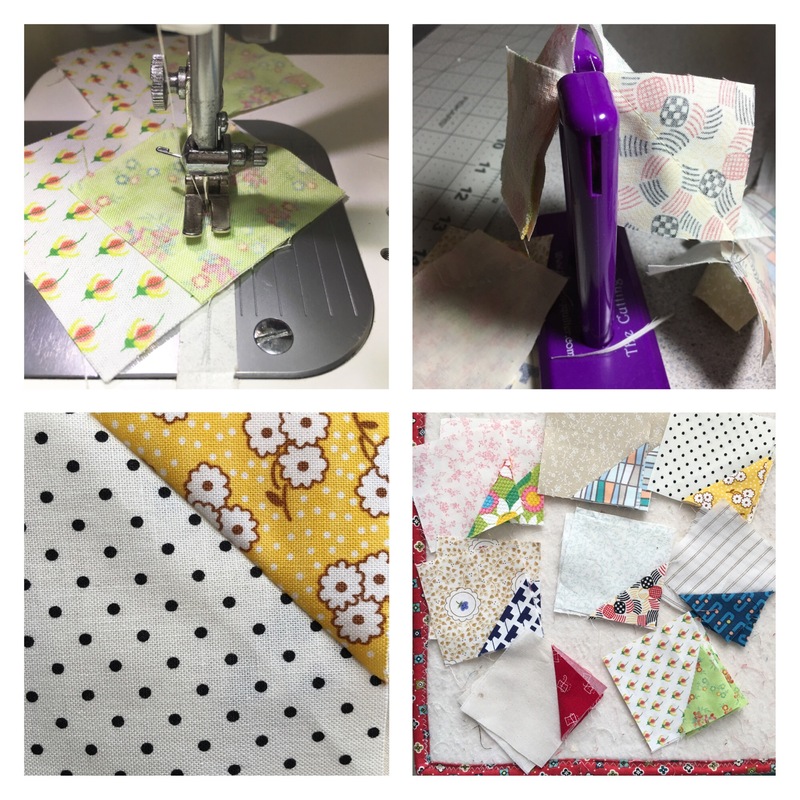 Happy quilting in Finland!